This an introductory class to discuss the pro’s and con’s of self-directing your retirement account. 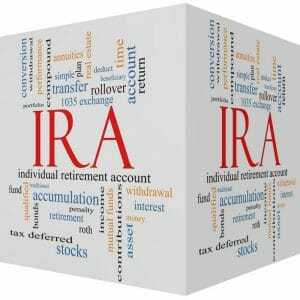 The reality is that a Self-Directed IRA /401k is a terrific tool for many investors however it is not the right fit for all of us. Join us for this informational event. What if You Have an Excess Contribution in Your Self-Directed IRA? How Can a Self-Directed HSA Work for you? 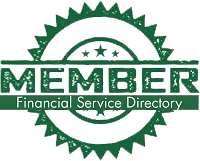 DISCLAIMER American IRA, LLC, a North Carolina limited liability company, serves as a Third Party Administrator on behalf of the Custodian, New Vision Trust Company, a state chartered South Dakota Trust Company. As a Self-Directed IRA administrator we are a neutral third party. We do not make any recommendations to any person or entity associated with investments of any type (including financial representatives, investment promoters or companies, or employees, agents or representatives associated with these firms). We are not responsible for and are not bound by any statements, representations, warranties or agreements made by any such person or entity and do not provide any recommendation on the quality, profitability or reputability of any investment, individual or company. The terms "we" and "us" refer to American IRA, with offices located in Asheville, NC and Charlotte, NC. Download Our 7 FREE Self-Directed IRA Guides! At American IRA, we pride ourselves on our exceptional educational materials that cater to everyone from beginners to advanced investors. Our Self-Directed IRA Guides are a great resource whether you’re new to investing or looking for increased diversification for your existing Traditional IRA, Roth IRA, SEP, Solo 401(k), SIMPLE, Health Savings Account, or Coverdell Education Account.